BeeLine Reader’s tools have been used to read over 100 million pages, and they are used by students, teachers, and professionals around the world. 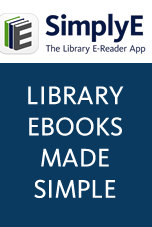 Califa member libraries can get free access to the BeeLine Reader browser plugin. To get this at your library, simply email library@beelinereader.com and they will send you information on how to activate on your computers. In addition to free access on all library-owned computers, you can also purchase significantly discounted licenses for use by patrons on their personal computers. For more information on BeeLine Reader, you can read about them in The Atlantic, listen to an interview on NPR, or watch a video produced about them by The Tech Museum of Innovation. If your library has already rolled out BeeLine Reader, you can download informational handouts and placards to help educate patrons. And if you have any questions, please feel free to contact the folks at BeeLine Reader. They will be happy to answer any questions you may have.